The grand pre-release event of Yash's KGF will be held at JRC convention on Sunday and it will be attended by bigwigs from Tollywood that also includes SS Rajamouli. The pre-release event of KGF in Hyderabad has been rescheduled and it will now be held on December 9. 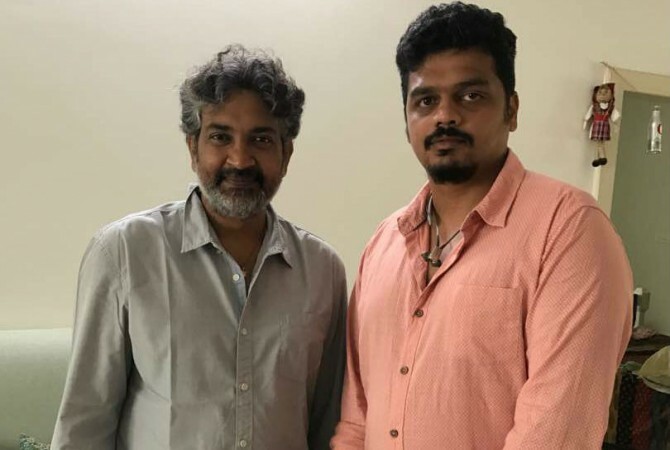 It will be held in the presence of some of the big names of Tollywood that include SS Rajamouli. "Announcement: #KGFTelugu Pre release event has been re scheduled to 9th Dec at 6:30pm. @ssrajamouli I am very excited to meet you in Hyderabad at JRC convention. @TheNameIsYash @SrinidhiShetty7 @prashanth_neel @VaaraahiCC #KGF #KGF21Dec. [sic]," Vijay Kiragandur, the producer of the film, tweeted. It was supposed to be held on December 7. Sources say that apart from SS Rajamouli, many other dignitaries from the Telugu film industry will attend the event held at JRC convention. Vaaraahi Productions has acquired the Telugu rights of KGF. Meanwhile, the second trailer of KGF was released on Wednesday, December 5, and met with a stupendous response from the viewers. It is packed with action and sharp one-liners with Yash's screen presence and swagger leaving people in awe. KGF is a two-part movie, written and directed by Prashanth Neel. The story is set in the 70s and traces the mining history of the region and how it impacted the lives of the people. The first instalment will be out on December 21. Yash plays the role of Salmaan, who goes to Mumbai in childhood and returns to the KGF to become the ruler of the region. Srinidhi Shetty has paired up with him in the flick, which has Ananth Nag, Achyuth Kumar and others in the cast.